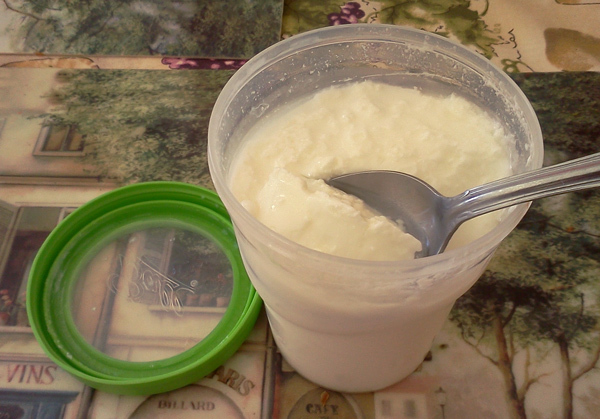 I made my own yogurt and you can too! A few years ago, I gave up on yogurt. Actually I didn’t give up on all yogurt, but mostly on the regular American yogurt. Coming from France, where yogurt is king (or queen, if you’re dairy), it’s been hard to adjust to the reality of American yogurt. I have to admit, the American yogurt aisle has greatly expanded since I moved to the US 20 years ago, but still it bares no comparison to the supermarket double-aisle long displays of yogurt and dairy desserts I grew up with. By the way, did you notice all yogurts seem to be the same here, by the way? Sweetened (with real or fake sugar), 0 or 1% fat, very little protein? Compare one of those nutrition labels to one for plain yogurt and you’ll notice plain is the way to go. And there lies my problem. Plain yogurt here, unless you want to spend $6 a tub for the expensive (=good) stuff, doesn’t taste good. At all. It’s sour, pasty, not creamy (even the 2%). I think that’s why Greek yogurt is so popular today. It actually tastes great compared to that blah yogurt. So I’ve had a dilemma for years. I love yogurt. Well, good yogurt, that is. But the one at the grocery store is inedible. Oh, what to do? Every year, I’ve considered buying myself a yogurt maker and making my own yogurt. But every time I read reviews, I’ve been disappointed. Either the machine can get too hot and kill the cultures, or it is too cold and takes forever to make yogurt. I couldn’t pick one model without worrying of making the wrong choice. 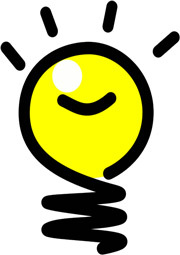 And then, a few weeks ago, I had a lightbulb moment. How did people make yogurt before they could buy it at the store, or use a yogurt maker? Humans have been making yogurt for thousands of years. There has to be a better way! And so I googled my way through the history and science of yogurt and discovered that many people out there are making their own yogurt with no fancy yogurt making machines. So I tried it out the first time. It came out PERFECTLY. Since then, I’ve made more, and it tastes delicious every time. I bought some freezer jam BPA-free cups to use until my yogurt cups arrive from Amazon. The new cups are tall and skinny and they’ll fit in my fridge perfectly. So, would you like to make your own yogurt too? Here’s my recipe for homemade yogurt. No yogurt maker needed! You can multiply the recipe to get the amount of yogurt you want. 1 cup of milk = 1 cup of yogurt. – 1 teaspoon of sugar (optional) – to me, it tastes delicious this way! 1) Scold the milk on the stove or in the microwave to reach a temperature of 170 to 180 degrees (about 5 minutes, more if you use more milk). Even if you use pasteurized milk, I recommend you scold it. It helps your yogurt not be runny. 2) Let the milk cool down (about 30 minutes), adding the optional sugar and powdered milk. 3) When the milk reaches 110 degrees, add the yogurt or probiotic pill contents. 4) Pour milk in large container or individual containers. Make sure the containers you use are filled almost to the top. 5) If using small containers, place them in a flat dish so they don’t spill when you move them around. 6) Heat up a microwaveable heating pad in the microwave. You can also use an electric heating pad you can turn on and off. Or you can use a crockpot on low and place your containers in there. Just make sure the milk doesn’t go over 110 degrees. 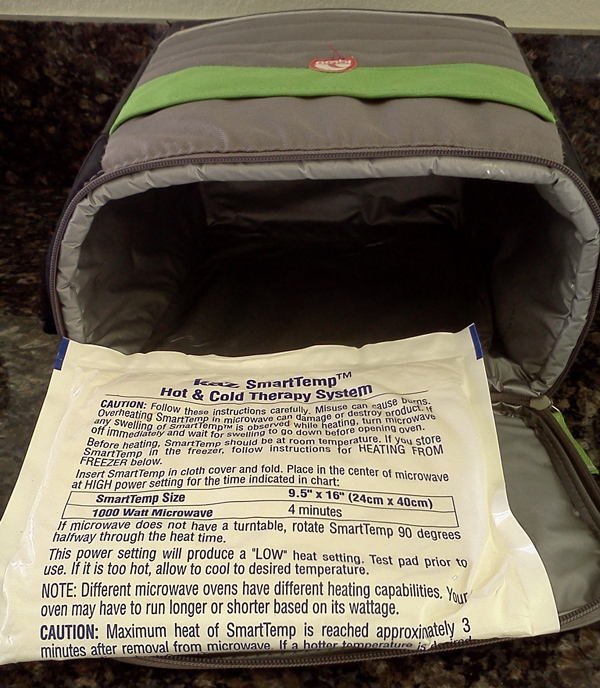 7) Place heating pad at bottom of the cooler bag. Place yogurt containers on top, then cover with a towel. Seal the cooler bag closed. 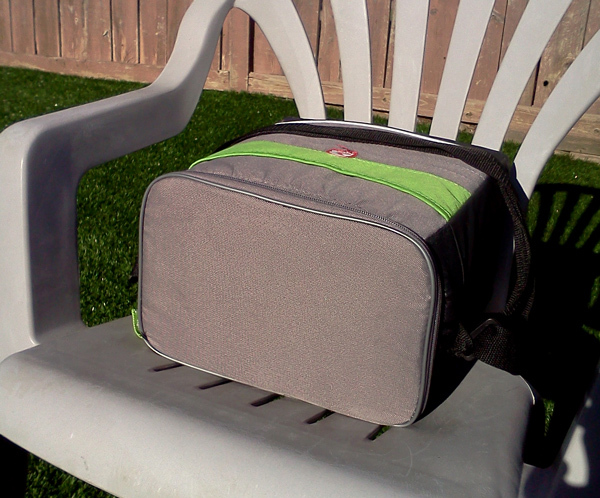 8) Place cooler bag by a sunny window or outside in the sun, or a warm place inside. If the inside of the bag feels cool after a few hours, warm up the heating pad again, and seal everything. 9) After about 8 hours (more or less), you’ll have yogurt! Refrigerate for a few hours before eating. 10) If you want Greek yogurt, you can strain this yogurt through a cheesecloth for a few hours to separate the whey. I promise this will be the BEST yogurt you’ll ever eat! 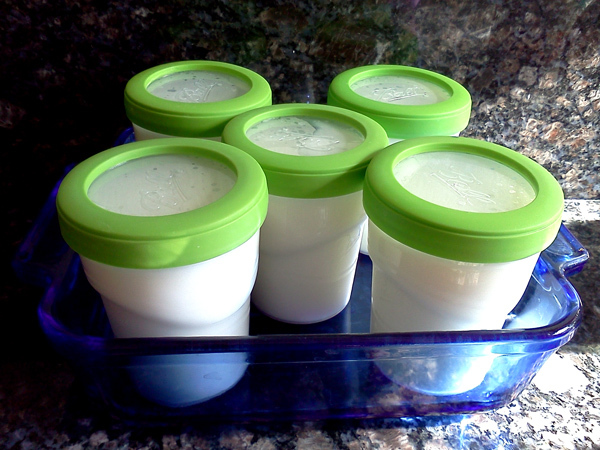 Have you tried making your own yogurt before, yogurt maker or not? Who said there’s no such thing as free lunch? Or free dinner? When you have two kids and you’re on a limited budget like me, you always look for deals and bargains out there to make it easier on your wallet. I always take advantage of museum discount tickets, or even better free Tuesdays at the San Diego museums, zoo memberships, food and restaurant coupons, and of course, our local library. If you live in the USA, you’re aware a number of restaurants try to lure you in by offering free kids’ meals on specific days. It’s not that kids eat a lot and you’ll break the bank by taking them out, but most kids’ meals cost around $5 each, so multiply that by the number of kids and it quickly adds up to the final check. I always find myself looking for a good list of restaurant deals and the other day, I finally stumbled upon one that seems very complete, so I thought I’d share it with you. I found the list below at http://www.frugalliving.tv/free-stuff/kids-eat-free.html and I recommend you always contact the restaurant to make sure the free kids’ meal is available, since local restaurants may not participate in the national promotion. You can also visit Kids Meal Deals website to search for a restaurant that offers free or cheap kids’ meals by zipcode. That’s a convenient tool when you’re away from home and not familiar with the restaurants around you. So if you’re out and about and looking for a place to eat with your kids without breaking the bank, here is the list of restaurants that lets your kids eat free (or for very cheap) on specific days. Bon appetit! Below you will find the restaurants where kids eat free (or cheap!) on Mondays. Adam’s Rib Barbeque – Kids 10 and under eat free at Adam’s Rib Barbeque (KS) on Mondays. This is valid for dine-in only and is good for one meal off the kids’ menu. Applebees – At Applebees kids eat for free on Mondays. There is 1 free kids’ meal for each adult entree purchase. Additional kids are $1.00. The kids’ menu at Applebees includes chicken fingers, cheeseburger, grilled cheese sandwich and macaroni & cheese. Not all locations offer this deal so be sure to call ahead to see if your location does! Brewzzi – Kids eat 12 and under free at Brewzzi (FL) on Mondays (and Tuesdays). There is a limit of 2 kids’ meals when an adult spends at least $12. Buffalo Wild Wings – On Mondays, from 5pm to 8pm kids 12 and under eat for .99 from the kids’ menu at Buffalo Wild Wings. The kids’ menu at Buffalo Wild Wings includes cheeseburger slammers, corn dogs, wings, chicken tenders and mac and cheese. Chartroose Caboose – At Chartroose Caboose (KS) kids 10 and under can eat free from 5pm to close on Monday evening (and all day on Sunday). Cici’s Pizza – Kids 3 and under eat free from the Cici’s Pizza buffet everyday! Specific Cici’s Pizza locations frequently have where older kids can eat for free on certain nights – check with your nearest location! Cinzetti’s – On Mondays (and Tuesdays), from 5pm to 9pm kids 12 and under eat for free at Cinzetti’s (CO, KS)! Cody’s Original Roadhouse – Kids 10 and under can eat for free at Cody’s Original Roadhouse (FL, ME, NC) on Mondays (and Tuesdays!) from the Kid’s Stuff Menu. There is a limit of 2 free kids’ meals for each adult entree purchase. 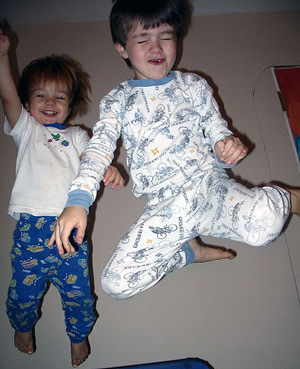 Denny’s – Kids can eat free at Denny’s on select nights from 4pm to 10pm at participating Denny’s. Apparently, each location offers the kids eat free promotion on different nights. This deal is limited to kids 10 and under and is limited to 2 free entrees per one regularly purchased adult entree. You can find a selection of entrees on the Denny’s kids’ menu which includes hot dogs, cheeseburgers, chicken nuggets, pizza, grilled cheese sandwiches and a dipper sampler. Fuddruckers – Kids 12 and under can eat for .99 from the kids’ menu from 4pm to 9pm on Mondays (and Tuesdays) at Fuddruckers. A drink is included! The Fuddruckers kids’ menu includes hamburgers, hot dogs, grilled cheese, macaroni & cheese, chicken bites, cheeseburger and mozzarella sticks. Not all locations offer this deal so be sure to call ahead to see if your location does! Golden Corral – Children 10 and under eat free from 5pm to 9pm on Monday’s at Golden Corral. This is limited to 2 kids per 1 adult. Not all locations offer this deal so be sure to call ahead to see if your location does! Kids 3 and under eat free every day! IHOP – Everyday kids eat free at IHOP if they are 12 and under. Kids can get 1 free kids’ menu item per adult entree purchased from 4pm to 8pm. The drink is not included. The IHOP kids’ menu includes pancakes, french toast, omelettes, chicken strips, cheeseburgers, grilled cheese sandwiches, eggs, fruit and fish. This deal seems to vary widely based on location – please call your location before visiting! Islands Restaurant – Kids eat free on Mondays (and Tuesdays and Wednesdays) at Islands Restaurants (AZ, CA, CO, HI, NV). The kids’ menu at Islands includes hot dogs, grilled cheese, hamburgers, cheeseburgers, chicken tenders, quesadillas and mac & cheese. Jason’s Deli – Kids eat free at Jason’s Deli all day on Sundays at some locations and on Mondays at others. Call your local Jason’s Deli before you go! The kids’ menu at Jason’s Deli includes sandwiches, wraps, hot dogs, salads, baked potatoes, pasta, pizza and macaroni and cheese. KC Masterpiece – From 4pm until close on Mondays (and Tuesdays, Wednesdays, and Thursdays) kids 12 and under eat free from the kids’ menu at KC Masterpiece (KS). Locos Grill and Pub – Kids eat free on Mondays at Locos Grill & Pub. Purchase of an adult entree is required. Millie’s Restaurant & Bakery – Every weekday kids eat for .99 at Millie’s (CA) with the purchase of an adult entree. Moe’s Southwest Grill – On Mondays, kids eat for free at Moe’s with the purchase of an adult entree. The kids’ menu at Moe’s includes tacos, burritos and quesadillas. O’Charley’s – Kids eat free Monday – Friday at select O’Charley’s locations. Piccadilly – Kids 6 and under eat for free at Piccadilly Monday through Saturday. The kid’s meals at Piccadilly includes an entree (chicken tenders, corn dogs, hot pockets, chicken or fish), two sides, jell-o or pudding or a cupcake and kid’s drinks. Pizza Hut – Kids eat free (3 and under) at Pizza Hut every day on the lunch buffet. Some locations kids younger than three can eat free at Pizza Hut’s dinner buffet as well. Quaker Steak and Lube – From 5pm to 10pm on Mondays, kids eat for free at Quaker Steak and Lube. This is limited to one free kids’ meal per each paying adult. There is also free video games during this time! Ricetta’s Brick Oven Pizzeria – Kids eat free at Ricetta’s on Monday (and Sunday). On Monday the free kid’s meals are limited to two per each adult meal and only to item’s on the kid’s menu. The adult meal must be a minimum of $7.95. The kid’s menu at Ricetta’s includes pizza, chicken fingers, ravioli and pasta. Rio Wraps – Kids 12 and under can dine for free on Mondays at Rio Wraps (MI) as long as an adult purchases a Rio Classic, Deli, Unwrapped or Low-Cal sandwich. This is for dine-in only. The kids’ menu at Rio Wraps includes quesadillas, burritos and tacos. Rock Bottom Cafe – On Mondays and Tuesdays, kids that are 12 and under can eat free from the kids’ menu at Rock Bottom Cafe. One adult entree must be purchased from the lunch or dinner menu. S&S Cafeterias – Kids who join the S&S Cafeterias Kid’s Club can enjoy a kid’s meal for .99 every day of the week. This meal includes an entree, 2 vegetables, a roll, jell-o and a beverage. This is limited to kids 10 and under and an adult meal purchase of $6.75 or more is required. Shoney’s – Kids eat free at Shoney’s every day if they are 4 or younger. An adult entree purchase is required. The kids menu at Shoney’s includes chicken nuggets, spaghetti, cheese burgers, grilled cheese and shrimp. TC Hooligans – At TC Hooligans (NY), kids eat free on Mondays. The kids’ menu at TC Hooligans includes grilled cheese, hamburger, cheeseburger, hot dog, chicken fingers and mac & cheese wedges with are served with french fries and a drink. Texas Roadhouse – On Tuesdays (may be Mondays at some locations), kids 12 and under eat free at Texas Roadhouse. The Texas Roadhouse kids’ menu includes an entree (hot dogs, cheeseburgers, sirloin bites, macaroni & cheese, chicken critters), a side and a drink. 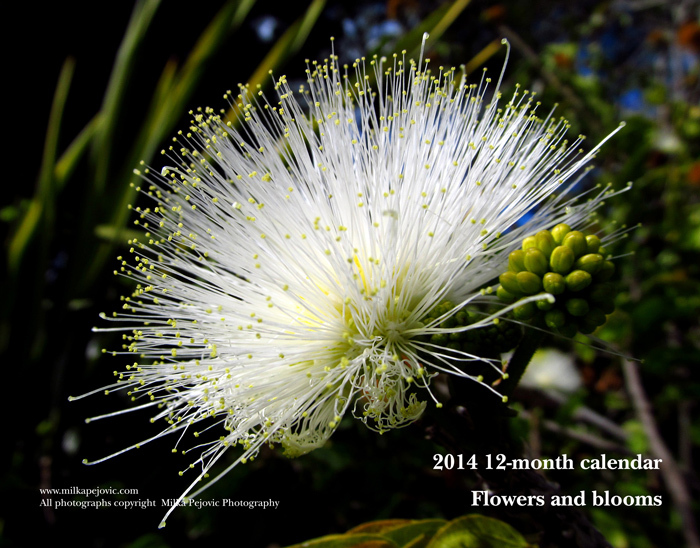 Not all locations offer this promotion – call before you go! Villa Rosa Italian Restaurant & Grill – Kids eat free all day on Mondays (and Sundays) at Villa Rosa Italian Restaurant & Grill. The kids’ menu at Villa Rosa includes spaghetti, lasagna, fried chicken, ziti, ravioli, manicotti and chicken tenders. Below you will find the restaurants where kids eat free (or cheap!) on Tuesdays. Austin Grill – Kids each free on Tuesday at Austin Grill. This is dine in only and purchase of adult entree is required. Only valid at participating locations. Austin Java – Kids eat free at Austin Java (TX) all day on Tuesdays. Backyard Burger – Kids eat free at Backyard Burger on Tuesday (and Thursday!). For each adult combo purchased, you get a free kids’ meal from 4pm until close. The kids’ menu at Backyard Burger includes burgers, chicken tenders and hot dogs. Beef ‘O’ Brady’s – From 4pm to 8pm every Tuesday, kids 10 and under eat free at Beef ‘O’ Brady’s Family Sports Bub. An adult entree purchase is required. The kids’ menu at Beef ‘O’ Brady’s includes a grilled chicken wrap, chicken fingers, chicken wings, grilled chicken salad, cheeseburger, boneless wings, chicken nuggest, hamburger, macaroni & cheese, grilled cheese and a hot dog. All kids’ meals come with fries, celery sticks or fruit cup as well ask a drink and treat. Bennigan’s – At Bennigan’s kids eat free on Tuesdays. One adult entree is required. Black-eyed Pea – After 5pm on Tuesdays, kids 12 and under receive a free kids’ meal with every adult entree purchased at Black-eyed Pea (TN, TX). The kids’ meals at Black-eyed Pea include an entree (macaroni and cheese, corn dogs, grilled cheese, cheese sticks, pot roast, chicken breast, chicken fingers, meat loaf, turkey, cheeseburger and cheese pizza), side, drink and dessert. Brewzzi – Kids eat 12 and under free at Brewzzi (FL) on Tuesdays (and Mondays). There is a limit of 2 kids’ meals when an adult spends at least $12. Cafe MiAroma – On Tuesdays after 5pm kids 11 and under eat free at Cafe MiAroma (TN). There is a limit of one kids’ meal per adult entree purchased and no drink is included. Captain D’s – Kids eat for free at Captain D’s on Tuesdays and Thursdays. There is a limit of 2 free kid’s meals for each adult dinner purchased. The Captain D’s kids’ meals include a choice of fish, chicken, shrimp or mac & cheese. Caserta Vecchia – Kids eat free here on Tuesdays and Thursdays from 5-9 p.m. with the purchase of an adult entree. Champps – Kids eat free (12 and under) at Champps on Tuesday. The kids’ menu at Champps features hambuger, chicken fingers, grilled chicken tenders, corn dogs, grilled cheese sandwich, spaghetti, macaroni and cheese and cheese pizza. Chevy’s Fresh Mex – At Chevy’s Fresh Mex, kids eat free all day on Tuesdays. You’ll need to purchase a regular price entree and then kids will eat free. This is good for dine in only and check the website because some of the locations are opting out of the kids eat free program. Chick-fil-A – At participating locations, kids can eat a free kids’ meal at Chil-fil-A on Tuesdays for Family Fun Night from 5:30pm to 7:30pm. There is a limit of 1 free kid’s meal per adult combo meal purchased. Cinzetti’s – On Tuesdays (and Mondays), from 5pm to 9pm kids 12 and under eat for free at Cinzetti’s (CO, KS)! Coco’s Restaurant & Bakery – On Tuesday (and Wednesday) after 4pm kids 10 and under eat free at Coco’s (CA). This is limited to one free kids’ meal per purchase of an adult entree. The kids’ menu at Coco’s includes macaroni and cheese, grilled chicken, grilled cheese, chicken strips, hamburger, pizza, spaghetti, turkey sandwich and soup and crackers. Cody’s Original Roadhouse – Kids 10 and under can eat for free at Cody’s Original Roadhouse (FL, ME, NC) on Tuesdays (and Mondays!) from the Kid’s Stuff Menu. There is a limit of 2 free kids’ meals for each adult entree purchase. Fazoli’s – From 5pm to 8pm on Tuesdays kids eat for .99 (12 and under) from the kids’ menu. The kids’ menu at Fazoli’s includes pepperoni pizza, cheese pizza, fettuccine alfredo, meat lasagna and spaghetti with either marinara sauce, meat sauce or meatballs. Fuddruckers – Kids 12 and under can eat for .99 from the kids’ menu from 4pm to 9pm on Tuesdays (and Mondays) at Fuddruckers. A drink is included! The Fuddruckers kids’ menu includes hamburgers, hot dogs, grilled cheese, macaroni & cheese, chicken bites, cheeseburger and mozzarella sticks. Not all locations offer this deal so be sure to call ahead to see if your location does! Gator’s Dockside – At Gator’s Dockside (FL) kids eat for free from 6pm to 8:30pm. This is for kids under 12 and is limited to 1 child per each adult. The kids’ menu at Gator’s Dockside includes wings, hamburgers, chicken fingers, grilled cheese, pizza and mac n’ cheese. Godfather’s Pizza – From 11am to 2pm and 5pm to 8pm on Tuesday, kids 10 and under at for free from the Godfather’s Pizza buffet. Gold Star Chili – At Gold Star Chili (OH, KY, IN) kids 10 and under eat for free on Tuesday. There is a limit of 1 kids’ meal per adult combo meal purchased and this is for dine-in only. The Gold Star Chili kids’ menu includes chicken strips, coney, chili and spaghetti. Meals include a small drink and a surprise. Islands Restaurant – Kids eat free on Tuesdays (and Mondays and Wednesdays) at Islands Restaurants (AZ, CA, CO, HI, NV). The kids’ menu at Islands includes hot dogs, grilled cheese, hamburgers, cheeseburgers, chicken tenders, quesadillas and mac & cheese. KC Masterpiece – From 4pm until close on Tuesdays (and Mondays, Wednesdays and Thursdays) kids 12 and under eat free from the kids’ menu at KC Masterpiece (KS). Lonestar Steakhouse – On Tuesdays (all day) at Lonestar Steakhouse, kids can eat free (12 and under). This is limited to 2 children per each adult entree purchased and is dine-in only. The Lonestar Steakhouse kids’ menu includes a hot dog, grilled cheese, macaroni & cheese, cheeseburger, grilled chicken sandwich, chicken tenders and steak medallions. Norms Restaurants – Kids eat free (10 and under) at Norms (CA) every Tuesday with an adult entree purchase required. Drinks are not included. The children’s menu at Norms includes bbq chicken tenders, turkey sandwich, whitefish fillet, chef’s salad, spaghetti, burgers, chicken breast tenders, battered fish, grilled cheese and macaroni & cheese. Perkins Restaurant and Bakery – Kids eat free at Perkins all day on Tuesdays. The Perkins kids’ menu includes breakfast items such as eggs, pancakes and french toast as well as lunch and dinner meals such as a cheeseburger, pizza, quesadilla, chicken tenders, grilled cheese sandwich and mac & cheese. Pizza Street – Kids (4-9) eat free from the Pizza Street buffet every Tuesday from 5pm to 8pm. Planet Sub – For each adult meal purchased at Planet Sub (MO, KS, IA, OK, NE) you can get on free kids’ meal on Tuesdays (and Sundays). Items on the kids’ menu at Planet Sub include subs and sandwiches. 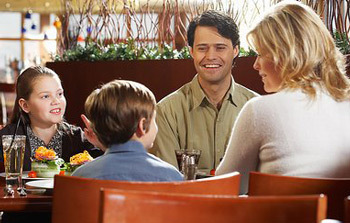 Ponderosa Steakhouse – From 4pm to close on Tuesdays, kids eat free at Ponderosa Steakhouse. Ruby’s Diner – Kids 12 and under eat for free at participating Ruby’s Diner locations after 4pm on Tuesday. There is a limit of one free kids’ meal for each adult meal purchased. The Ruby’s Diner kids’ meals include an entree (grilled cheese, PB & J, macaroni & cheese, turkey corn dog, hot dog, beef burger, turkey burger, chicken fingers or grilled chicken breast) and french fries or a fruit cup. Space Aliens – Kids 10 and under get a free kids pizza along with 10 game tokens every Tuesday with the purchase of a regular price adult entree. Texas Roadhouse – On Tuesdays (may be Mondays at some locations), kids 12 and under eat free at Texas Roadhouse. The Texas Roadhouse kids’ menu includes an entree (hot dogs, cheeseburgers, sirloin bites, macaroni & cheese, chicken critters), a side and a drink. Tony Roma’s – Kids 12 and under eat free at Tony Roma’s on Tuesdays. Below you will find the restaurants where kids eat free (or cheap!) on Wednesdays. Carrow’s Restaurant – Kids 10 and under eat for free every Wednesday (and Thursday) at Carrow’s Restaurant. There is a limit of 1 kids’ meal per each adult entree purchased. Coco’s Restaurant & Bakery – On Wednesday (and Tuesday) after 4pm kids 10 and under eat free at Coco’s (CA). This is limited to one free kids’ meal per purchase of an adult entree.The kids’ menu at Coco’s includes macaroni and cheese, grilled chicken, grilled cheese, chicken strips, hamburger, pizza, spaghetti, turkey sandwich and soup and crackers. Damon’s Grill – At Damon’s Grill on Thursdays kids (12 and under) can get a free kids’ meal. 1 free kids’ meal per adult entree purchased. Damon’s Grill Kids’ Menu includes mini burgers, cheese sticks, grilled cheese, macaroni & cheese, chicken tenders and mini corn dogs. Firehouse Subs – On Wednesdays (and Sundays) kids 12 and under get to eat free from 4pm to 9pm. One free kids’ meal comes with each adult purchase. The kids’ meal at Firehouse Subs includes a sub or sandwich, beverage, Oreo cookies and free fireman’s hat. Gatti Town Buffet – Kids 10 and under get a free kids’ buffet with the purchase of an adult buffet each Wednesday. There is a limit of 1 child per adult. Islands Restaurant – Kids eat free on Wednesdays (and Mondays and Tuesdays) at Islands Restaurants (AZ, CA, CO, HI, NV). The kids’ menu at Islands includes hot dogs, grilled cheese, hamburgers, cheeseburgers, chicken tenders, quesadillas and mac & cheese. Jeffrey’s Sports Grill – Kids 12 and under eat free from 5pm to 9pm on Wednesdays at Jeffrey’s Sports Grill (GA). There is a limit of one child per each paying adult. KC Masterpiece – From 4pm until close on Wednesdays (and Mondays, Tuesdays and Thursdays) kids 12 and under eat free from the kids’ menu at KC Masterpiece (KS). Luby’s Cafeteria – Wednesdays after 4:30 pm (and all day Saturday) kids 10 and under can get a $2.00 kid’s deal at Luby’s. This is limited to dine-in only. Luby’s Cafeteria’s website says kids get to select from spaghetti, chicken leg, fried fish, baked chicken, roast beef, chopped steak or chicken strips that is served along with two sides, jell-o, a roll and a drink! Lucille’s Bad to the Bone BBQ – At Lucille’s Bad to the Bone BBQ (FL) kids eat free (12 and under) on Wednesdays. There is a limit of 2 free kids’ meal for each adult entree ordered. Marie Callender’s – Kids eat free at Marie Callender’s on Tuesday and Saturdays. You get one free kid’s meal with each adult entree purchased. Qdoba Mexican Grill – Kids eat free at Qdoba Mexican Grills only on Wednesdays at some locations and only on Sundays at some locations. Check with your local location to see which day of the week kids eat free at yoru Qdoba’s. Rainforest Cafe – Kids can eat for $1.99 on Wednesday evenings at Rainforest Cafe. Zarda BBQ – Kids eat for free all day on Wednesdays at Zarda (KS, MO). Below you will find the restaurants where kids eat free (or cheap!) on Thursdays. Backyard Burger – Kids eat free at Backyard Burger on Thursday (and Tuesday!). For each adult combo purchased, you get a free kids’ meal from 4pm until close. The kids’ menu at Backyard Burger includes burgers, chicken tenders and hot dogs. C.B. & Potts Restaurant & Bakery – Kids eat for free at CB & Potts (CO) on Thursdays. Carrow’s Restaurant – Kids 10 and under eat for free every Thursday (and Wednesday) at Carrow’s Restaurant. There is a limit of 1 kids’ meal per each adult entree purchased. KC Masterpiece – From 4pm until close on Thursdays (and Mondays, Tuesdays and Wednesdays) kids 12 and under eat free from the kids’ menu at KC Masterpiece (KS). Piccadilly – Kids 6 and under eat for free at Piccadilly Monday through Saturday. From 11am to 4pm on Thursdays (and Saturdays) kids’ meals at .99 and big kids’ meals are $1.99 at Piccadilly. The kid’s meals at Piccadilly includes an entree (chicken tenders, corn dogs, hot pockets, chicken or fish), two sides, jell-o or pudding or a cupcake and kid’s drinks. Below you will find the restaurants where kids eat free (or cheap!) on Fridays. Below you will find the restaurants where kids eat free (or cheap!) on Saturdays. Luby’s Cafeteria – All day on Saturdays (and Wednesdays after 4:30 pm) kids 10 and under can get a $2.00 kid’s deal at Luby’s. This is limited to dine-in only. Kids get to select from spaghetti, chicken leg, fried fish, baked chicken, roast beef, chopped steak or chicken strips that is served along with two sides, jell-o, a roll and a drink! Salsaritas – Get a free kids’ meal with purchase of an adult entree at Salsarita’s Fresh Cantina. The kids’ meals includes tacos or quesadillas, chips, drink and a cookie. Shari’s Restaurant – At Shari’s Restaurant kids can eat free on Saturdays (and Sundays) from 4pm to 9pm. Steak n’ Shake – On Saturdays (and Sundays) kids can eat free at Steak n’ Shake. You get one kids’ combo for free with a purchase of an adult entree of $9 (excluding drink or shake) or more. This is valid for dine in only. The kids’ menu at Steak n’ Shake includes burgers, grilled cheese, chicken fingers, turkey sandwiches, salads and macaroni and cheese along with a wide selection of sides. Texas Land & Cattle – Kids 12 and under eat free off the kid’s menu at Texas Land & Cattle from 11am to 4pm on Saturdays. There is a limit of 2 free kids’ meals for each adult entree purchased. Below you will find the restaurants where kids eat free (or cheap!) on Sundays. Arriba Mexican Grill – For each adult entree you purchase from Arriba Mexican Grill (AZ) you get on free kids’ meal on Sundays. The kids’ menu at Arriba Mexican Grill includes burritos, tacos, enchiladas, grilled cheese, chicken strips, corn dogs, cheese crisps and macaroni and cheese. California Tortilla – Bring the kids to California Tortilla after 5 p.m. on Sundays and they can eat for free. Chartroose Caboose – At Chartroose Caboose (KS) kids 10 and under can eat free all day on Sunday (and Monday evening). The Claddagh Irish Pub – All day on Sunday kids eat free at The Claddagh Irish Pub (MI). Purchase of an adult entree is required but you can get up to 2 free kids meals with that. Dickey’s Barbecue Pit – Kids that are 12 and under get to eat for free on Sundays (dine in only) on Sunday. One adult entree and child’s drink is a required purchase for each free kids’ meal. Firehouse Subs – On Sundays (and Wednesdays) kids 12 and under get to eat free from 4pm to 9pm. One free kids’ meal comes with each adult purchase. The kids’ meal at Firehouse Subs includes a sub or sandwich, beverage, oreo cookies and free fireman’s hat. Hooters – Kids eat free at Hooters all day long on Sundays. JB Dawson’s – Kids eat free at JB Dawson’s (PA) on Sundays. There is a limit of 1 child’s menu for each adult entree purchased. Jose Pepper’s – Kids eat free all day on Sunday at Jose Pepper’s (KS, MO). La Mesa Mexican Restaurant – 12 and under kids eat almost for free at La Mesa Mexican Restaurant (KS, NE, MO) – the kid’s menu items are 1 penny. Mel’s Diner – Kids that are 12 and under get 1 free kids’ meal for each adult meal purchased at Mel’s Diner (FL) on Sundays. Planet Sub – For each adult meal purchased at Planet Sub (MO, KS, IA, OK, NE) you can get on free kids’ meal on Sundays (and Tuesdays). Items on the kids’ menu at Planet Sub include subs and sandwiches. Qdoba Mexican Grill – Kids eat free at Qdoba Mexican Grills only on Sundays at some locations and only on Wednesdays at some locations. Check with your local location to see which day of the week kids eat free at your Qdoba’s. Ricetta’s Brick Oven Pizzeria – Kids eat free at Ricetta’s on Sunday (and Monday). On Sunday the kid’s eat free promotion is limited to the buffet. Shari’s Restaurant – At Shari’s Restaurant kids can eat free on Sundays (and Saturdays) from 4pm to 9pm. Souper! Salad! – On Sundays kids 4 and under at free (and kids 5-12 for $2.49) at Souper Salad. For each adult purchase you can get 2 free kids meals. Steak n’ Shake – On Sundays (and Saturdays) kids can eat free at Steak n’ Shake. You get one kids’ combo for free with a purchase of an adult entree of $9 (excluding drink or shake) or more. This is valid for dine in only. The kids’ menu at Steak n’ Shake includes burgers, grilled cheese, chicken fingers, turkey sandwiches, salads and macaroni and cheese along with a wide selection of sides. Tropical Smoothie Cafe – Kids eat free all day at Tropical Smoothie cafe on Sundays at participating locations. Tumbleweed SouthWest Grill – On Sundays kids 12 and under eat free (up to 3.99 value) at Tubleweed Southwest Grill. There is a limit of one kids’ meal for each adult entree purchased and this deal is not valid with any other discount, promotion or offer. Villa Rosa Italian Restaurant & Grill – Kids eat free all day on Sundays (and Mondays) at Villa Rosa Italian Restaurant & Grill. The kids’ menu at Villa Rosa includes spaghetti, lasagna, fried chicken, ziti, ravioli, manicotti and chicken tenders. Zapata’s Restaurant – On Sundays kids eat free all day at Zapata’s (NC). Zebbs Grill & Bar – At Zebbs Grill & Bar kids get to eat free on Sundays! Kids 10 and under get a free kids’ meal (value up to 3.99) with each adult meal purchased. Please sit down and eat! Please sit down and eat. I must repeat this sentence 20 to 30 times a day. And no, this is not an overstatement on my part. Every meal at our house starts with the same prompt: “please sit down and eat”. After the kids have gotten up a few times, it turns into “come here and sit down to eat”. It’s all downhill from there and I usually end up barking “SIT DOWN ALREADY!”. And we’re not even halfway through the meal. I have a problem. A meal eating problem. A serious and exhausting problem. My kids won’t sit down to eat. If they’re hungry, they’ll cooperate and get to the table when prompted. Their buttocks will touch the seat of the chair for just a few minutes when they decide to take off with some mind of their own. I swear the buttocks control their bodies, because my kids will walk aimlessly around the room until I remind them to come back to the table. It was never a problem while we used high chairs and boosters we could strap the kids in. But let’s be realistic, no five-year-old will fall for this trick again! I’ve mostly solved this problem at dinnertime. We don’t have cable TV so the kids can’t plop themselves in front of the idiot box hours on end. Instead they get to watch DVDs during dinner. Curious George, Elmo, Blue’s Clues and Charlie & Lola help them stay seated long enough to eat their meal. I usually sit down with them and have dinner too, and we get to discuss the video we’re watching. I know all the experts advise children to not eat and watch TV at the same time, but they clearly don’t have to feed my kids every night. I draw the line of video watching at dinner, so breakfast and lunch are still no-sitting zones. I’m not sure what my kids’ problem is. My youngest is often the hungry one so he’ll sit down promptly. His temporary state of hunger will entice him to make a dent in his meal but as he gets satisfied, he’ll often get up to “get something”. If my oldest could survive without ever eating anything, he probably wouldn’t put any food in his mouth, except to enjoy the taste of it. Although he’s an adventurous eater and likes good food, he’s rarely inspired enough to sit down for more than a few minutes. Unless I remind him he’s supposed to eat, he’ll go through the whole meal without putting a forkful in his mouth. I’ve tried it all, the easy way, the hard way. I’ve put the food away when they weren’t interested, ending up with hungry, cranky, whiney kids an hour later. I’ve allowed toys and books at the table if it will help them stay in their seats. Unfortunately they always want something else to play with, something else to read… I can read books to them during the meal, but it means I don’t get to eat. And clearly my conversation topics are not interesting enough to keep them at the table long enough. So I turn to you, parents of younger and older children. Have you experienced the “ants-in-the-pants” behavior at the dining table? How have you dealt with it? What has worked for you? Thank you so much for sharing your successful parenting tips. My lightbulb moment: how much sodium is in my food? Do you know how much sodium you're eating every day? If you’ve been keeping up with my “101 in 1001” challenge, you know that monitoring my blood pressure is one of my 101 tasks. With a multi-generational family history of hypertension and borderline personal BP numbers, this is an important health issue for me. I recently found out about the “DASH diet”, which encourages lower consumption of sodium (under 2300mg/day) and higher consumption of potassium (4700mg/day), magnesium (500 mg/day) and calcium (1250 mg/day). The three latter minerals are suspected to counteract the negative effects of excess sodium. Since the DASH diet can lower blood pressure in most people, it seems fair I’d give it a try. 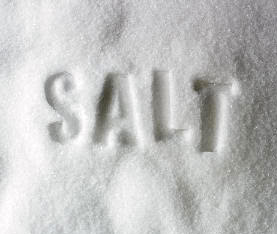 I rarely use salt when I cook at home, so I’ve never considered sodium the culprit for my elevated blood pressure. But after reading about the DASH diet, I decided to take a closer look at the sodium levels of the foods we have around the house. That’s when my jaw dropped. I call it my lightbulb moment. Unless you cook every single meal from scratch, there’s added sodium in everything you buy at the grocery store. The only variance is HOW MUCH sodium is in. If you’re busy like me and use a number of ready-made foods, from breakfast cereal, to pasta sauce, to already-cooked beans and processed meats, you’re in for a surprise. The worst part of my discovery is, what looks and sounds healthy may actually contain a lot of sodium. For example one serving (90 calories) of wheat flakes (healthy fiber, right?) contain over 200 mg of sodium. And you know you’ll eat more than one serving for breakfast. A better alternative? Shredded wheat, which has almost no sodium. I often use beans as a source of protein but knowing that a single serving contains up to 400 mg of sodium (20% of the daily value), I’ve decided to switch to “no salt added” versions. I recently bought turkey breast slices at Fresh & Easy but they were a little too salty to my taste, so I checked the label. The meat has over 600mg of sodium for a 50 calories serving. The word sodium is actually mentioned 6 times in the ingredient list – you’ve got to be kidding me! This package just made a round trip – it’s out of my fridge and back to the store. Even the soy hot dogs I give my kids as an alternative to the poorly nutritious regular dogs contain a lot of sodium. Do I dare mentioning the fried chicken strips, or the ketchup they eat them with? Bread and bagels were a surprise too, but store-bought cookies and cakes have shocking amounts of sodium in them. That’s because salt happens to enhances all other tastes, including sweetness. Go figure. The thing is, most foods don’t seem to contain that much sodium. But when you add up all of the sodium you’ve eaten in one day, you’ll probably get over the recommended 2300mg for adults, and 1800mg for kids. Most kids love the taste of salt but I think as parents, we can do them a favor and watch what we put on their plates, whether it is sodium, fat, or sugar. So where does this discovery about my own diet lead me to? 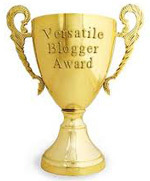 I want to call it a major lifestyle change, for myself and for my kids. Until now I read nutrition labels for fiber, sugar, fat and protein contents, but I need to add sodium to the checklist, as well as potassium and magnesium. I realize I also need to cook from scratch more and the challenge will be to find meals that my whole family enjoys eating. Cooking family meals and desserts are two other items on my “101 in 1001” list, so keeping my blood pressure in check will help me get these two tasks accomplished. Who knew? Have you ever looked closely at what’s in your fridge, freezer and pantry? Would you make any changes if you saw something you weren’t aware of?